Brass is an alloy of Zinc and Copper, frequently used for fittings destined for the hydraulic industry. Products designed and marketed by Gnali Bocia include both components for LPG and other gases, and components for use with incompressible fluids. The exclusive feature of Brass fittings lies in the ultimate combination of several properties, both mechanical (strength) and physical. The percentages of Zinc, Copper and other alloy elements determine the physical properties of the Brass fittings, and for this reason the addition of any Brass alloys is the subject of much research, with special reference to Guillet diagrams, which compare the addition of alloy elements and the equivalent effect of adding or subtracting Brass. 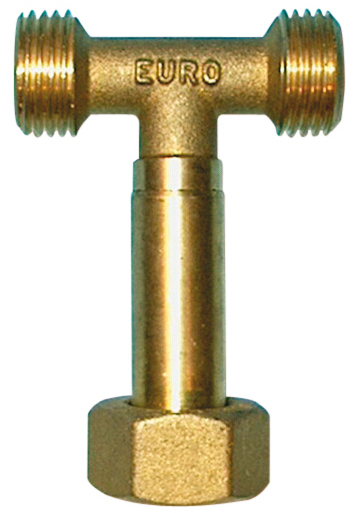 For this very reason, the process obtains Brass fittings with clearly identifiable properties. The wide range of products bearing the Gnali Bocia mark include pressure reducers, check valves, electrical heating elements, extensions, caps, tee fittings, barrel nuts, collars, and bends. All these products are designed and constructed at the facilities of Gnali Bocia, also equipped with a Research & Development Department for studies into new design techniques. In general, the Zinc percentage in the Brass fittings rarely exceeds 45%, as this is the threshold over which the practical advantages of the alloy get lost. 30/01/2013 Gnali Bocia: design of brass fittings Brass fittings are used to connect different parts together, allowing gas and liquid to flow through. 30/04/2014 The types of brass used for gas valves Brass materials with varying percentages and characteristics of alloy elements are used in the design of gas valves.